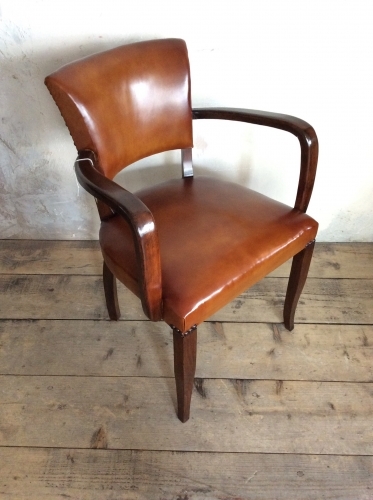 French Tan Leather Bridge Chair c1940. From a set of Ten. Â£225 each. All recently recoveredand hand coloured.